So this is kind of funny… you’re about to read a blog post about online dating from my past and current experience. This is going to fun to share. With the recent announcement about Body Boss, I’ve been gathering my thoughts to figure out my Next Move. While doing so, I’ve also jumped into the online dating pool. (Shh, don’t judge me.) When I’ve told this to others, people are really, really curious why I’m on there. I’m not sure if that means people don’t think the internet would embrace a virtual me or because I’m so great in real life (“IRL” for you non-online dating folk). I’m hoping the latter. 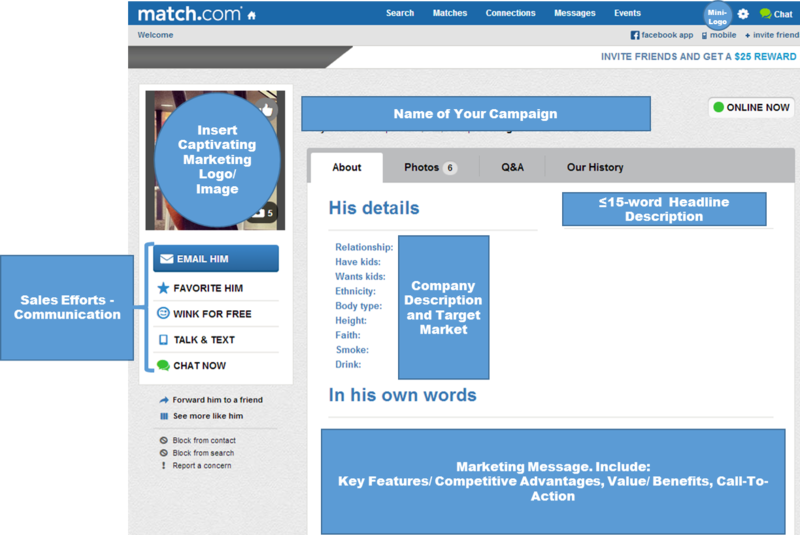 In any case, I’m finding myself applying so many of the entrepreneurial ninja skills to work on my Match profile. I thought it’d be fun to blog about. It’s funny because business (relationship) development in this case is much different than approaching coaches and a lot more attractive for the most part. So what are some take-aways? Let’s go. 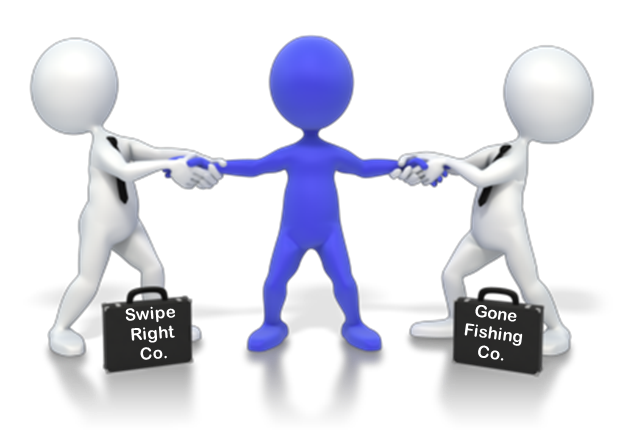 First, online dating apps are like sales channels. Why am I on an online dating site? Because I’m expanding my “sales” channel of me. I’m giving myself web presence in addition to the brick-and-mortar version of me. It allows me to expand my audience to those I may have difficulty (or never) reaching. Skin-in-the-game is good. That is, in a product/ service setting of a startup, free trials/ models by themselves allow subscribers the ease to stop using your product. Likewise in online dating, free apps lower the bar for people to join which is good, but more often than not, those members don’t have any pull to really pursue a real relationship. Thus, joining a paid model helps weed out the non-serious members. You are what you’re marketing. I’m not selling a SaaS product or an app. Instead, I’m selling myself to the ladies online. Sadly, like a bootstrapped startup, I’ve got limited funds/ skills so my pictures probably aren’t the best. I have to work on that. However, the basic principles of marketing are the same in that every picture, every line you write has to have a purpose to attracting your market. Quality over quantity – simplicity is golden. In online dating, you’re trying to get a member to write you a message, or to respond to your own, with the goal of going offline for a meeting. Like a good slick for marketing your startup, don’t state every benefit in the world and feature to your customer. In online dating, state only the most pertinent information that would entice a member. Customer discovery is fun but can get weird. You can watch how your “number of views” or “winks” counts change after you implement changes (geez, I wish I could do A/B testing), but in the end, you can also solicit someone like a friend who represents your target market, and get feedback. Just remember that like in a real startup, you’re looking for honest communication where partners aren’t shy to tell you what they like/ don’t like. Know your target market – who’s in, who’s out. One thing I learned early on with Body Boss is that I have to accept some coaches were not ready for technology or interested, in general. There are just some who will not buy what you’re selling, and that’s okay. As they say, there are plenty other fish in the sea. Obviously online dating is not a startup. For one massive reason, I’m not looking for multiple customers. That’d be weird and terrible. So far, it’s been a fun experiment online with this new perspective of being a more seasoned entrepreneur. Now, I just have to attract the right partner… And to the point about the target market, I have to do a good job as a marketer/ sales person to make it like I’m the best product for the reader. What are your thoughts about online dating or dating in general as it could relate to startups and business? Who’s poised to profit in this fragmented, online dating world of startups? If you’re single and ready to mingle, chances are good you have a number of “online dating” apps on your phone. They’re everywhere — the usual suspects of Match.com, eHarmony, OkCupid (a Match company now actually), Plenty of Fish, etc. are joined by the swipe-addicting Tinder, Hinge, Twine, and so many more. Most of those apps and companies didn’t exist three years ago. However, this post isn’t about dating apps. Looking across different industries, you see the same explosive growth in companies. From travel, you’ve got Travelocity, Expedia, Hotwire, Kayak, and Booking.com with more recent newcomers including Airbnb, Hipmunk, SafelyStay, etc. Even in the CRM space you had SAP, Oracle, etc. with their own solutions and then Salesforce has pretty much taken over, but you have to add in the SugarCRM, Zoho, and so many more. Now, let’s also add in the explosion of wearable technologies to be spearheaded by Google’s announcement of a designated OS called Android Wear. Yowza. A couple posts ago, I shared some recent trends I had been seeing and perhaps not explicitly said, it’s apparent the suppliers of markets are growing — refer to “Trends for Startups and Ideas to Build the Future“. Each company with its own take on how to do “it” better. So what does this all mean? Where are we headed with all this fragmentation? APIs are a great way for especially software and hardware players to integrate into existing platforms, and enable customers to get set up quickly. The big players are establishing themselves as the common integration point creating another sustainability point with added revenue-stream implications — you can definitely see this in Apple’s App Store, SalesForce’s App Exchange, Facebook‘s ubiquitous login option, and even NCR’s Cloud Services. Smaller startup players will have a frantic fight over the next years to stay in the game and relevant. Switching costs for customers are becoming much lower meaning the power is virtually all in the customers’ hands. Hardware manufacturers are getting in on the exact with APIs such as Thalmic Labs’ Myo Band, Atlas Wearables, Jawbone Up, Logitech peripherals, etc. There will likely be much consolidation in the markets over the next few years as the smaller players get gobbled up by other startups or by the big platform companies themselves. And of course, there will be the natural attrition of startups who just peter out. In the end, the the power lays largely with the buyers/ customers in many of these markets as suppliers are so vast. However, it also creates some stumbling blocks for customers to pick the right cloud platform. In the B2C market, for example, fragmentation creates an annoyance for many users where there may be, especially, a social aspect and communities are split. But in the end, customers do win with more innovative solutions in a competitive market. This time of market frenzy will last a few years, I believe, before the consolidations really take place. And at that time, the cycle will restart where startups will sprout up again creating opportunity. What are your thoughts on today’s growth of companies and solutions? How do you think the markets will play out? http://www.daryllu.com/wp-content/uploads/2018/10/entrepreneurial-ninja_logo_sm.png 0 0 Daryl Lu http://www.daryllu.com/wp-content/uploads/2018/10/entrepreneurial-ninja_logo_sm.png Daryl Lu2014-03-19 15:31:002014-03-19 15:31:00Who's poised to profit in this fragmented, online dating world of startups?